Once you've created your Course, you will need to add content to it. 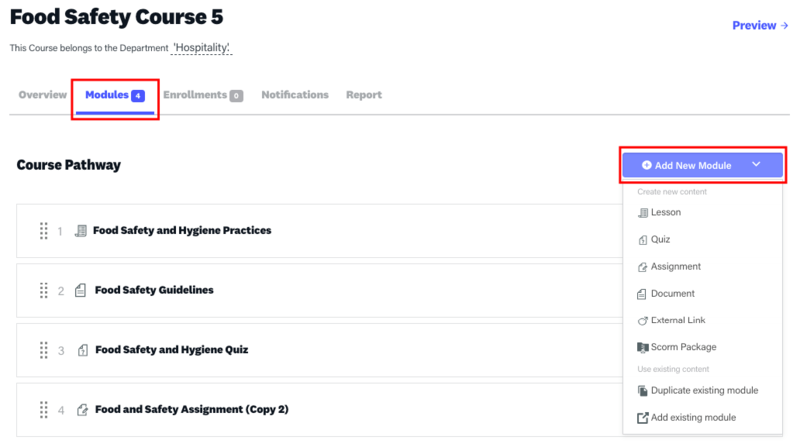 To do this, you will need to either create new Modules or copy existing ones into your Course. 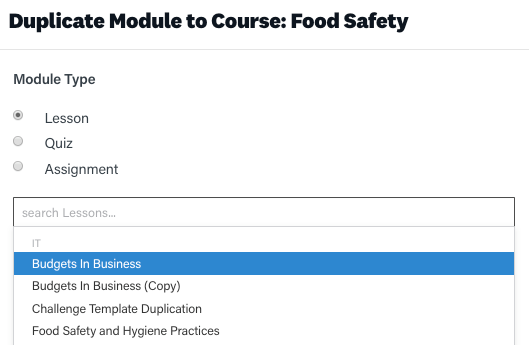 Let's take a look at how we use the Course Modules tab.